But with all the options out there, choosing your signature scent can be a little overwhelming. One place to start: Look for the plant extract that’s aligned with your zodiac sign. To discover your aromatherapy ride-or-die, just look to your sun sign—the one based on your birthday that you turn to when reading your horoscope. Or you could always collect them all, so you’re prepared with just the right remedy whenever a coworker or BFF is feeling out of balance. Keep reading to find out which essential oil is cosmically connected to your zodiac sign. Aries rules the head, face, and eyes—makes sense, given that she’s a natural born leader who barrels head-first (pun intended) into adventure. When she’s under too much stress or doesn’t have the freedom to be herself, she’s prone to tension headaches. Soothing lavender oil is the perfect foil to these tendencies, cooling down Aries’ fiery vibe and bringing relief to distress from the neck up. Taurus luxuriates in feeling safe, cozy, and protected. When things are going well, her speaking voice is strong, her throat and neck are free of tension, and her thyroid’s healthy. But when she’s feeling insecure around her finances or personal life, these areas can become compromised. Powerful oregano oil is known to boost the immune system, stopping sore throats in their tracks. Gemini’s a spirited communicator, and she often amps up her self-expression by talking with her hands. This zippy air sign also rules the pulmonary system that delivers oxygen to the whole body. When she’s disconnected from others, her lungs, arms, or shoulders may be affected. Eucalyptus oil helps with respiratory congestion, which in turn brings healing O2 into aching extremities. Spirit fingers! A Cancer babe’s ideal scenario: Being in an intimate relationship and having a stable home zone. When these things are in turmoil, she tends to suffer from upset stomachs or breast pain—two areas ruled by her sign. Peppermint is a strong anti-inflammatory and digestive aid. Plus it’s totally invigorating, which is handy when Cancer’s signature moodiness strikes. Virgo’s always busy—she’s constantly looking to refine and improve every situation she encounters, and she has a knack for seeking the most practical way to live. At times, however, this type-A tendency can get to be too much. Vetiver oil is calming and stabilizing, with a grounding sensibility that’s majorly in sync with this earth sign. Libra’s all about keeping everything in harmony. When she’s centered, her skin glows—big ups to her ruling planet of Venus—but obviously, life rarely stays balanced for long. 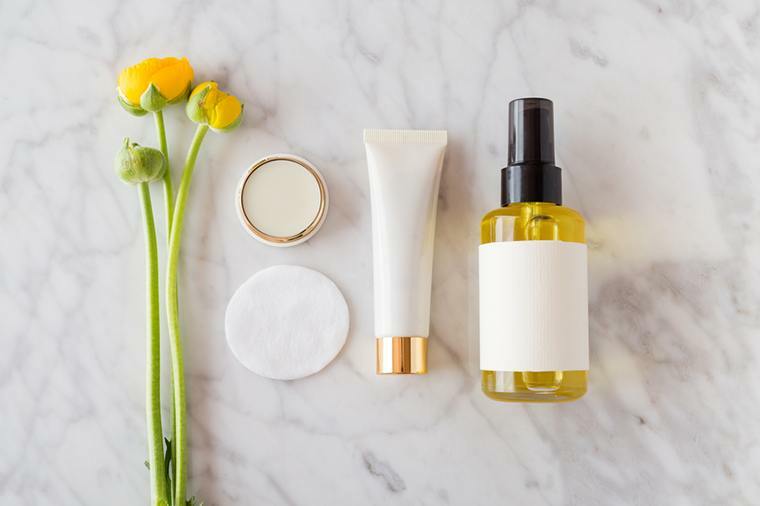 When things get out of whack, frankincense oil can help bring the life back into Libra’s complexion by decreasing inflammation and creating feelings of peace. Passionate Scorpio is known to be the sexiest sign, and that’s because she wants to get close. It’s no surprise, then, that her sign rules the most intimate parts of the body: the reproductive and excretory systems. Fennel oil can help heal infections of all sorts while supporting the gut, where the immune system takes up residence. Sag has a pep in her step, and when she’s in balance she’s blessed with strong legs and a healthy liver. But if too many spritzes wear her down, ginger essential oil is said to increase levels of antioxidant enzymes used by the liver. Plus, this wonderful root has warming properties that are said to reduce muscle soreness. Bring on the summer dance parties! Capricorn is an absolute #girlboss—her plan for running the world comes down to practical systems and structure. As such, her sign rules the skeletal system. So when her joints start to ache after a few too many late nights in an uncomfortable desk chair, she’d be wise to turn to chamomile oil as a means of calming her bod. Sparky Aquarius is helping lead the way to a new future, electrifying and stimulating her community with fresh ideas and dreams of progress. Cypress oil is her perfect match—it dials up the circulatory system by increasing blood flow, giving her the energy she needs to keep up with her lofty dreams. An intuitive water sign, Pisces rules the lymphatic system, a detoxification pathway that’s said to have a hand in everything from cellulite to skin and breast health. Juicy citrus oils like lemon, orange, and grapefruit are said to help boost the flow of lymph, keeping her overall wellness on fleek. Sandra Sitron is an astrologer, consulting hypnotist, and writer living in Brooklyn, NY. She was introduced to interpreting celestial objects at a young age, and it’s become part of the lens through which she views the world. In addition to writing Well+Good’s monthly astrological guides, Sitron also releases a weekly horoscope and offers private astrology and hypnosis sessions. Did you know the stars can also help you get into shape? Here’s your ideal workout and meal plan, according to your astrological sign.